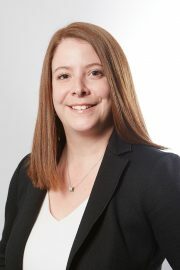 Jennifer is responsible for operational oversight supporting clients, retail advisors, and institutional professionals. Jennifer and her team provide dedicated practice support to Integral’s private client advisors. The ultimate aim of this support is to improve service to clients and facilitating creative wealth management solutions that address clients’ evolving needs. Jennifer has over 14 years of experience in financial services within various roles of compliance and operations. Prior to joining Integral, Jennifer spent over six years as operations manager and branch supervisor at the Toronto office of Wolverton Securities (previously Standard Securities). Jennifer’s broad experience with operations, corporate finance and compliance is critical to her role which is cross-disciplinary by its nature.